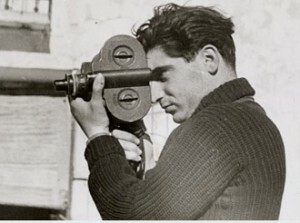 A rare photograph by celebrated war photographer Robert Capa is to be sold at auction as part of one of the greatest private collections of historic news images – a treasure trove from the heyday of photojournalism. The Capa photograph of a Gypsy wedding in Slovakia in 1947 could be the rarest surviving image by the Magnum agency photographer, who was killed covering the conflict in Indochina in 1954. The photo survives only as a single print, with the negative thought to have been lost in the 1950s, and is expected to fetch up to £9,000 in Paris on 30 April.